On Friday, 22 February, from 10.30 to 14.00 pm we invite you to visit the gallery of Ljerka Njerš in Žepče, Bosnia and Hertzegovina. Students and employees of CSC’s Don Bosco on that day will mark the birthday of the famous Croatian and international artists, ceramist and painter, Ljerke Njerš with commemorative program. Ljerka Njerš’s Gallery is located adjacent to the entrance to the cinema hall of the House of Culture. 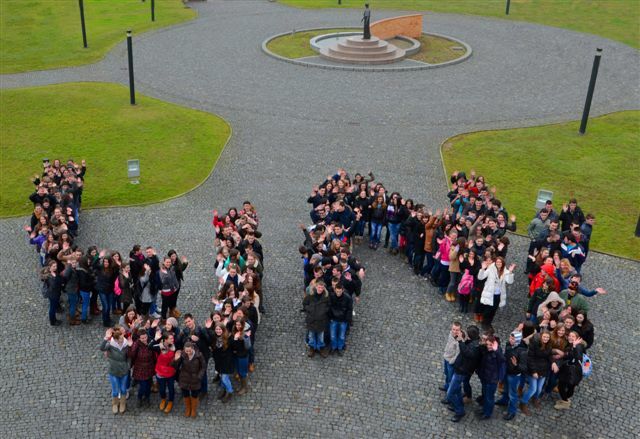 For this occasion special photo of students who have shaped the initials famous artist who was born in Zepce was created.